NICL Recruitment Notification 2016-17. Apply Online For AO. 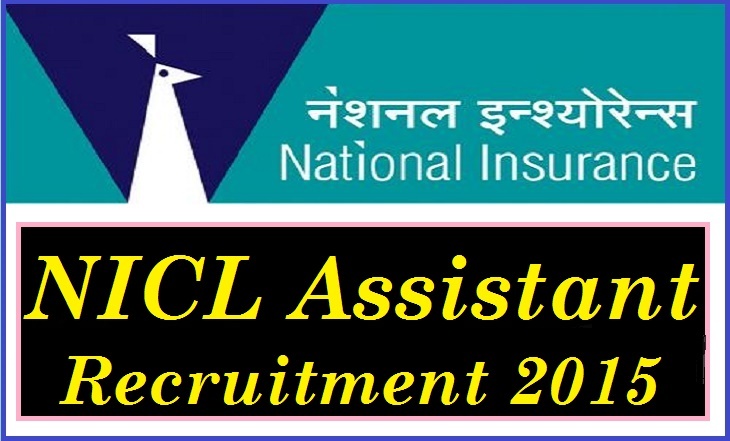 If you are looking for recruitment in NICL (National Insurance Company Ltd.) then this is correct place. This page is to find exam date and jobs notification in nicl for the post of ( AO ) administrative officer recruitment and other posts. So best of luck! Further to our Notices dated 13.06.2015, 15.06.2015 & 08.07.2015, appended below are the Registration Nos., Roll Nos. and names of the candidates who have been provisionally selected for the post of Administrative Officer (Scale I) following successful completion of Pre employment Medical Examination. The appointment of SC/ST/OBC / PWD candidates is provisional and is subject to the Caste/Tribe/Community / Disability Certificate being verified through the proper channels. If the verification reveals that the claim of the candidates to belong to SC / S T/ OBC /PWD , as the case may be, is false, the services of such candidates will be terminated forthwith without assigning any further reasons and without prejudice to such further action as may be taken under the provisions of the Indian Penal Code for production of false certificate. Candidates selected are hereby informed that they have to report to the below mentioned venue for their Induction Training which shall commence from 17 th August , 2015 . The Induction training would continue for 6 weeks at their respective training venues. Candidates are advised to report a day before i.e 16 th August, 2015 at the training venue. Please note that no traveling or any other allowances will be paid for reporting at the place of training venue on the scheduled date. 1. Duplicate copy of the appointment letter duly signed . Please note that under no circumstances, extension of time for joining will be considered and in case of your remaining absent on the scheduled date i.e 17th August, 2015, the Company shall assume that you are not interested to accept the offer of appointment, which shall automatically stand cancelled. Kindly note that the appointment is subject to ORDER(s)/DIRECTION(s), if any, issued by Honorable Court/s having competent jurisdiction in any case/s subsisting as on date.